Living a gluten-free life can be frustrating. Five years ago we had very little choices at the grocery store, and today it feels like we’re overwhelmed with options. And none of these options are cheap, so how do you avoid blowing your weekly budget on overly sugary, or bad tasting versions of the gluten-full counterparts that you once loved? Gluten-intolerance or not, it’s important to understand how to read the product labels and ingredient lists on the foods you buy. If you don’t see “gluten-free” clearly written on the item you’re looking to buy, either call the manufacturer’s customer service line to get clarification or avoid the item all together. Knowing how to read the list of ingredients is also very important when you have any type of intolerance. If there’s a specific type of ingredient you’re unsure of, do the research so you know if it’s something that could harm you or not. Gluten can hide in some of your favorite food-staples, which is why it’s important to do a sweep of all of the items in your fridge and pantry to make sure you eliminate those you can’t have. Be prepared to have to let go of soy sauce, malt, and anything containing maltodextrin, a food additive which often contains gluten. Unless otherwise labeled, most processed food products will contain additives with gluten. Processed foods can be harmful to your body given the unnatural ingredients they contain, so if you’re looking out for your health, aside from being gluten-free, eliminating processed foods from your diet can make a huge difference. Believe it or not, restaurants have transitioned over well to appease those with a gluten-intolerance, adding multiple menu options as simple as gluten free pasta to as complicated as adding an entire menu section specifically for those eating gluten-free. Surprisingly, there are several mainstream chain restaurants, such as PF Chang’s and Outback Steakhouse that now offer gluten free menu items to help accommodate patrons with food allergies. You can check out our list of gluten-free chains here. If your local grocery store doesn’t have the gluten-free items you’re looking for or need, don’t sweat it. 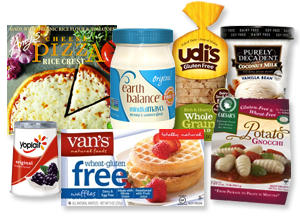 Many stores actually stock their online based stores with anything from gluten-free sauces, pasta, cookies, pizzas and snacks to provide those with a gluten-intolerance an easy shopping experience. Another option we love is Vitacost. We buy organic, gluten-free and minimally processed foods here, and with free shipping over $49 it’s a great away to stock up on the essentials. Plus they offer $10 off an order over $30 if you use the link here. A big misconception a lot of people have with a gluten-free lifestyle is that it helps you lose weight because there are fewer calories in gluten-free foods. in fact, many of these gluten-free options are higher in sugar and calories, so be careful to read the nutrition labels before you load up on crackers, cookies and other processed gltuen-free foods. Having options are great, but just keep in mind that other than omitting gluten, these guys are still packed with calories, sugar and fat like their gluten-ful counterparts. To truly make this a healthy lifestyle, shun as many pf the processed foods as you can, and stick to a diet of more naturally occurring foods, like fresh fruits and veggies, meats, fish, nuts and seeds. If you simply can’t do without your favorite products and want to know what foods to eat, check out our product reviews here. This article from Eater highlights some of their fave Boston restaurants that are gluten-free friendly. “For those avoiding gluten but still craving things that are traditionally made with it, here’s a round-up of eight restaurants that offer gluten-free items that will satisfy that hunger, including pasta, pizza, and dessert.” Remember though – depending on how sensitive you are, be careful in a traditional bakery as there will be a high risk of cross contamination. While I can’t risk it with Celiac, my gluten-sensitive son seems to do just fine with cross contamination. 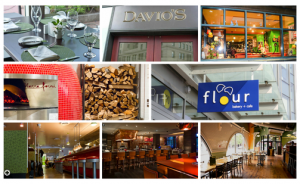 Please comment below if you’ve visited any of these forward thinking restaurants! 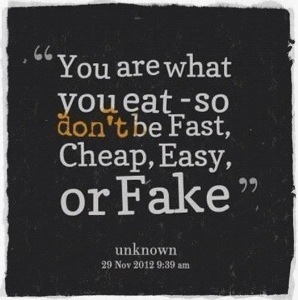 You are what you eat, so make it count! Here’s a great image I found on Facebook that pretty much sums up how we feel! I always tell our son to remember what I was taught in science class so many years ago: GIGO. 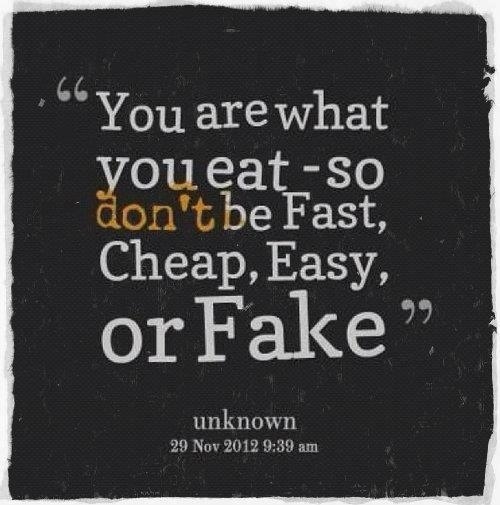 Treat your body with love and fuel it with food that serves both your body and soul. Continuing our Juice recipe series (those which don’t require a juicer), this is a great juice for after your workouts! 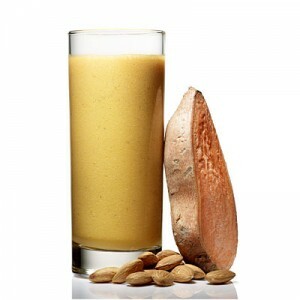 Almonds’ protein helps build and repair muscle, plus the potassium (twice as much as you get in two bananas) balances your electrolytes and fluids.